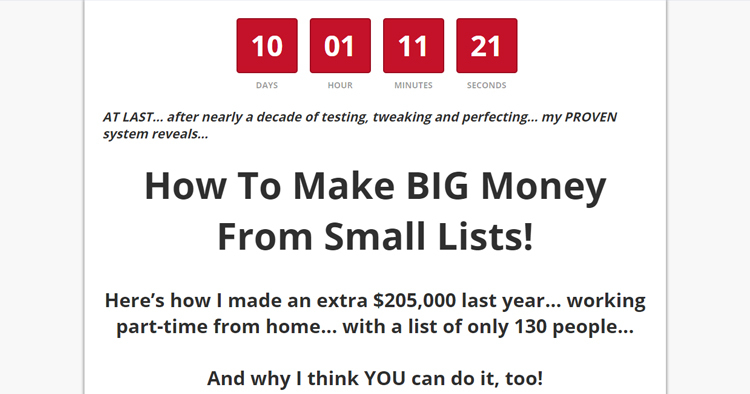 Here’s how I made an extra $205,000 last year… with a list of only 130 people. I’m going to give you all the skills, tools and guidance you need to do it. I’m going to provide you with everything you need to make this system work for you… so you can start enjoying the money and freedom this system gives you.